Current Discount Program Is 25-30% OFF Listed Website Prices! NOTE: We no longer ship to the USA from Canada, due to current NAFTA Changes… BUT we have sourced a USA based mill & work shop for drop shipping stair parts to customers in the USA ( not all items can be done as listed on the web site, but standard treads at 10-1/2” and 11-1/2” can be at a great cost to all USA consumers ). Do you need hardwood stair treads that are extra thick, extra long, extra wide or made from an exotic hardwood (like American Cherry, Jatoba or White Oak )? Maybe a modern style nosing, or pie shaped treads for a curved staircase is what you want? If so, we can manufacture 100% solid hardwood stair treads to meet your job site specifications; in our own custom mill work shop. 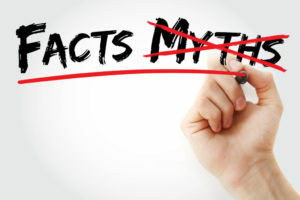 Many consumers are under the assumption that a stair tread made from 3-8 pieces of hardwood lumber is not as good as a stair tread made of one solid piece of lumber. This assumption is very, very far from the truth. A stair tread made from only 1 or 2 pcs. of hardwood lumber has very little strength and/or structural integrity, thus these one or two piece stair treads are prone to cupping and warping (failing to meet industry standards). Our treads are made from 3-8 pieces of solid hardwood lumber, edge glued together. You can get stair treads with a color matched face or a more color character face, based on the grade you prefer. Both our “select & better clear” and “select & better natural” grade stair treads are made of 100% solid hardwood lumber; manufactured to exceed industry strength standards (not veneer top / not press wood core). Looking for hardwood treads in a stain color to match your existing hand railing or flooring? Finding most suppliers don’t offer it? Our custom colour match program allows us to offer nearly unlimited prefinished stair tread colors. So, your new hardwood stairs can match the stained flooring sample you mail to us. We offer prefinished stair treads, risers and trims, so your order is ready to install the day you receive it. Stair Treads USA is a large retail stair parts supplier. 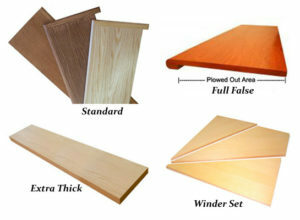 Offering quality made hardwood stair treads and components to all continental United States. Whether you are a company or individual, we supply the stair parts you need to make your project a success. The 3 key factors in every one of our sales: great discounts, great customer service, and great products. We have our own custom spray booth shop, so we can offer prefinished stair treads. When you buy from Stair Treads USA you save money because we discount prices not quality. You also have a better selection of stair parts to choose from, and we deliver direct to your door. In conjunction with our parent company, Scotia Stairs Limited, we are a multiple Consumer Choice Award Winner (in 2016 for Overall Consumer Satisfaction and recently we won the 2018 Business Excellence Award in the Stair & Rail Category). Get a FREE QUOTE from us today before buying from big box building supply companies like: ACE LumberMart ©, Castle Building Centres ©, Home Depot ©, Lowe’s ©, Timber Mart ©, Etc. Stair Treads USA offers high quality, hardwood stair parts. Our stair treads, metal balusters ( iron spindles ) are available in many many more sizes / varieties, don’t be limited by the options offered in the big box stores ( you have more choices ), but at a price that is easy on your budget. We only stock select & better grade “natural face” red oak & yellow birch treads ( all other wood types are special order with a 2-3 week lead-time ). Select & Better “Natural Grade” Stair Treads: Gives a bit more color variation and face character in the treads overall appearance ( this tread is 90% of what matches most peoples hardwood flooring and the natural wood look is what most people desire ). Select & Better “Clear Grade” Stair Treads: Gives very little color variation and has a very uniform appearance, with very little color change in the face of the tread ( this tread is quite plain looking and thus does not match the character in most peoples hardwood flooring ). We offer 1-1/16″ standard hardwood stair treads and 3/4″ full false stair treads ( a.k.a full replacement tread covers / caps ) and custom treads in many wood types and sizes: american cherry, ash, yellow birch, hard maple, knotty pine, jatoba, hickory, mahogany, red oak, walnut, white oak; plus many other hardwood stair tread types. We also manufacture custom stair treads to fit your job site needs: full false treads, pie treads, volute treads & risers, 2 pc. & 3 pc. winder tread sets, and oversize stair treads ( extra Thick, extra wide / extra long ). We offer both unfinished and/or prefinished stair treads and risers to our customers ( see below for more information ). FACE GRAIN THICK TREADS: 1-1/2″ & 1-3/4 thick stair treads can manufactured in standard tread construction methods at all times. This means the tread will ne made from 2″ rough hardwood lumber and milled down to a finish thickness size of 1.5″ or 1.75″; in the edge glue construction method, with face grain showing on both faces. ( Note: at times we can manufacturer face grain thick treads at 2″, 2-1/4″, 2-1/2″ and 2-3/4″ so it is always best to ask for a quote on these sizes in both face grain and butcher block style, so you can compare the cost ). EDGE GRAIN THICK TREADS: 2″ – 4″ thick treads will manufactured in butch block tread construction method ( see note above 2″ – 2-3/4″ can at times be done in face grain method ), this is never a problem. This simply means the thick tread is made in the face glue construction method, with edge grain showing on both faces, like a butcher block.